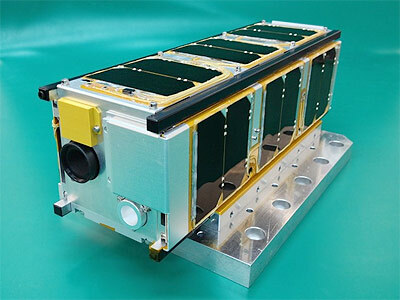 The Shootingstar Sensing Satellite also called S-CUBE or S³ is a 3-Unit CubeSat, measuring 30 by 10 by 10 centimeters in size with a total mass of 3.99 Kilograms. Its primary objective is the detection of shooting stars from Low Earth Orbit to demonstrate the use of a CubeSat in the field of planetary science. Outfitted with different detection systems, S³ aims to measure the ultraviolet signature of meteors, collect visible imagery of meteors from orbit and obtain information on the size distribution and composition of meteors. S³ is a project of the Planetary Exploration Research Center (PERC) of the Chiba Institute of Technology and Tohoku University. 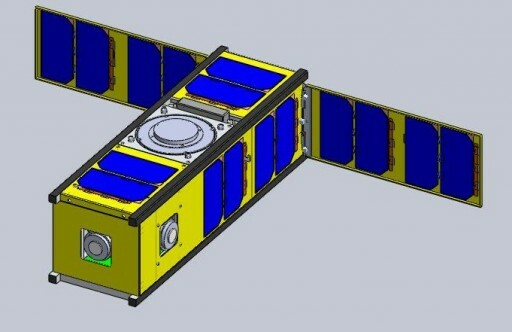 The S³ spacecraft subsystem is largely based on the Raiko CubeSat design that was successfully flown in 2012. Power generation is accomplished with body-mounted Gallium-Arsenide multi-junction solar cells plus two deployable solar panels that are stowed against two opposite side panels in the satellite’s launch configuration. Power is stored in NiMH batteries and the satellite operates on a 9.6-Volt power bus. Attitude control is provided by a Gravity-Boom that is deployed after launch, stabilizing the satellite via a gravity-gradient. Additionally, three-axis control can be accomplished using three magnetic torquers to keep the satellite in an Earth-pointing attitude. The Attitude Determination System makes use of a suite of sun sensors and a three-axis magnetometer that is needed to calculate the current that has to be applied to the magnetic torquers to achieve the required torque values for the desired attitude change. The communications system of the satellite, based on Raiko, uses Ku- and S-Band transmitters and S-Band and UHF receivers to achieve command uplink rates of 1.2kbit/s in UHF and 1kbit/s in S-Band and downlink rates of up to 100kbit/s in UHF and 500kbit/s in Ku-Band, enabling the downlink of full resolution meteor imagery from the science payload. The heart of the S³ satellite is a Main Processor Unit which processes and executes commands sent from the ground in parallel to the Power Control Unit that can only execute basic spacecraft functions and manage the power system components while the Main Processing Unit can run advanced command sequences including payload commanding. Data, telemetry and science data, is stored in the Flash memory of the Main Processor Unit. S³ hosts two main payloads, a Wide Angle Camera and a Photo-Multiplier. Both are tasked with the observation of the luminous emission of meteors induced by hypervelocity entry into Earth’s atmosphere. Because meteors oftentimes originate from asteroids and comets, the analysis of their spectrum can reveal information about the composition of the parent object – allowing scientists to learn about different comets and asteroids without the need for a mission to a distant target. However, in the past, the Earth-based observation of meteors has been facing a number of problems starting with a bias of observations from the northern hemisphere and a general lack of observations from the southern hemisphere and the ocean. Space-based observation is not biased by the distribution of observatories and can not be influenced by weather and is therefore ideally suited for the observation of meteors. Furthermore, observations from orbit are not hindered by the Ozone layer that absorbs ultraviolet radiation and prevents ground-based observatories from recording the UV-signature of meteors. The last space-based meteor observation mission was flown in 1999 and recorded spectra of a number of Leonid meteors, showing an abundance in Iron and Magnesium plus traces of Carbon and Sulfur. A meteor observation payload was planned to be set up on the International Space Station in 2014, but was lost in the Antares launch failure in October of that year. 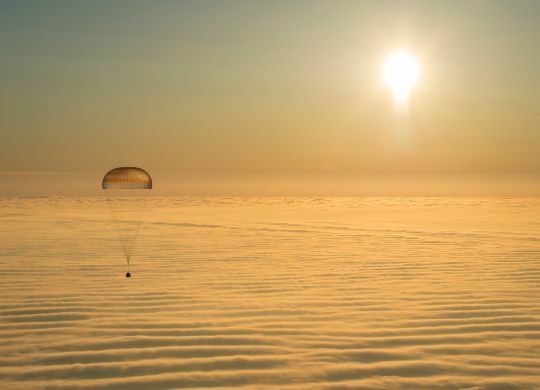 Unfortunately, a replacement payload also failed to make it to ISS, being lost in the Dragon SpX-7 launch failure in 2015. The Wide Angle Camera of the S³ satellite is a light-weight system weighing in at just 34 grams, hosting a Charged Coupled Device onto which an image is focused by wide-angle optics to be able to observe across a broad field of view. The detector has a diagonal length of 6 millimeters and hosts 659 by 494 pixels with a standard side length of 7.4 micrometers. The detector is read out by dedicated electronics that use a 10-bit analog-to-digital conversion. The Wide Angle Camera covers the visible range of the spectrum. The Photo-Multiplier hosted on the S³ satellite is equipped with a bandpass filter that rejects any emissions coming from Earth to distinguish between Magnesium emissions from meteors and lights on Earth. Just weighing 6.5 grams, the Photo-Multipliers are 8 millimeters in diameter and are sensitive across a wavelength range of 160 to 320 nanometers. 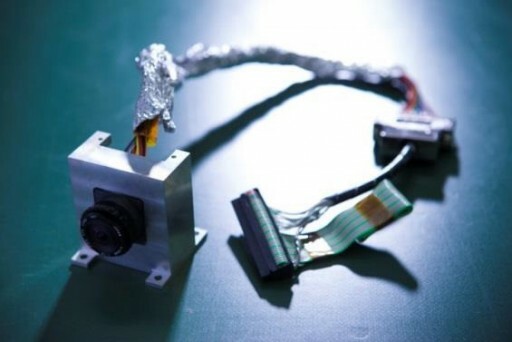 The detection of a UV-Magnesium signature by the Photomultiplier acts as a trigger for the Wide Angle Camera, activating it to acquire an image of the meteor. The minimum success criteria for the S³ mission is to detect at least one meteor with the Photomultiplier Tube and subsequently triggering the camera to gather an image of the meteor to allow for an estimation of meteoroid size from its brightness. Full mission success if defined as obtaining the flux of meteors – collecting a statistically significant amount of data to assess the size distribution of meteors. An optional mission objective is the spectral analysis of meteors to identify species such as sulfur.